172 Features: -Pillow. -Two different size lobes with four interchangeable cores. 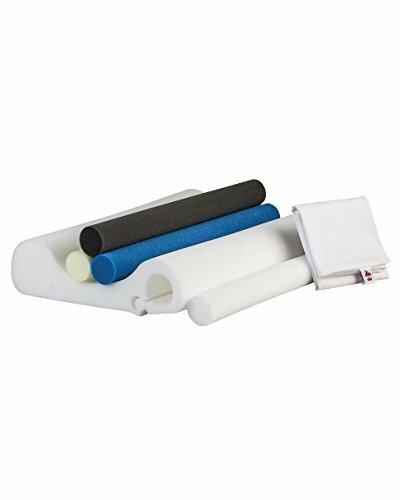 -Precision-cut foam to provide cervical support from mild to extra firm. -Helps you properly support your neck in its natural position as you sleep. Product Type: -Cervical Support. Country of Manufacture: -United States. Dimensions: Overall Height - Top to Bottom: -15". Overall Width - Side to Side: -22". Overall Product Weight: -7 lbs.